The world is flat. Or perhaps better, the world is increasingly "layers". 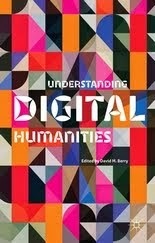 Certainly the augmediated imaginaries of the major technology companies are now structured around a post-retina notion of mediation made possible and informed by the digital transformations ushered in by mobile technologies that provide a sense of place, as well as a sense of management of complex real-time streams of information and data. Two new competing computational interface paradigms are now deployed in the latest version of Apple and Google's operating systems, but more notably as regulatory structures to guide the design and strategy related to corporate policy. The first is "flat design" which has been introduced by Apple through iOS 8 and OS X Yosemite as a refresh of the ageing operating systems' human computer interface guidelines, essentially stripping the operating system of historical baggage related to techniques of design that disguised the limitations of a previous generation of technology, both in terms of screen but also processor capacity. It is important to note, however, that Apple avoids talking about "flat design" as its design methodology, preferring to talk through its platforms specificity, that is about iOS' design or OS X's design. The second is "material design" which was introduced by Google into its Android L, now Lollipop, operating system and which also sought to bring some sense of coherence to a multiplicity of Android devices, interfaces, OEMs and design strategies. More generally “flat design” is "the term given to the style of design in which elements lose any type of stylistic characters that make them appear as though they lift off the page" (Turner 2014). As Apple argues, one should “reconsider visual indicators of physicality and realism” and think of the user interface as "play[ing] a supporting role", that is that techniques of mediation through the user interface should aim to provide a new kind of computational realism that presents "content" as ontologically prior to, or separate from its container in the interface (Apple 2014). This is in contrast to “rich design,” which has been described as "adding design ornaments such as bevels, reflections, drop shadows, and gradients" (Turner 2014). I want to explore these two main paradigms – and to a lesser extent the flat-design methodology represented in Windows 7/8 and the, since renamed, Metro interface (now Microsoft Modern UI) – through a notion of a comprehensive attempt by both Apple and Google to produce a rich and diverse umwelt, or ecology, linked through what what Apple calls "aesthetic integrity" (Apple 2014). This is both a response to their growing landscape of devices, platforms, systems, apps and policies, but also to provide some sense of operational strategy in relation to computational imaginaries. Essentially, both approaches share an axiomatic approach to conceptualising the building of a system of thought, in other words, a primitivist predisposition which draws from both a neo-Euclidian model of geons (for Apple), but also a notion of intrinsic value or neo-materialist formulations of essential characteristics (for Google). That is, they encapsulate a version of what I am calling here flat theory. Both of these companies are trying to deal with the problematic of multiplicities in computation, and the requirement that multiple data streams, notifications and practices have to be combined and managed within the limited geography of the screen. In other words, both approaches attempt to create what we might call aggregate interfaces by combining techniques of layout, montage and collage onto computational surfaces (Berry 2014: 70). The "flat turn" has not happened in a vacuum, however, and is the result of a new generation of computational hardware, smart silicon design and retina screen technologies. 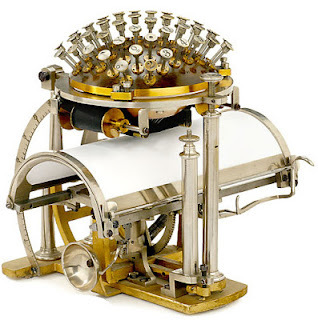 This was driven in large part by the mobile device revolution which has not only transformed the taken-for-granted assumptions of historical computer interface design paradigms (e.g. WIMP) but also the subject position of the user, particularly structured through the Xerox/Apple notion of single-click functional design of the interface. Indeed, one of the striking features of the new paradigm of flat design, is that it is a design philosophy about multiplicity and multi-event. The flat turn is therefore about modulation, not about enclosure, as such, indeed it is a truly processual form that constantly shifts and changes, and in many ways acts as a signpost for the future interfaces of real-time algorithmic and adaptive surfaces and experiences. The structure of control for the flat design interfaces is following that of the control society, is "short-term and [with] rapid rates of turnover, but also continuous and without limit" (Deleuze 1992). To paraphrase Deleuze: Humans are no longer in enclosures, certainly, but everywhere humans are in layers. Apple uses a series of concepts to link its notion of flat design which include, aesthetic integrity, consistency, direct manipulation, feedback, metaphors, and user control (Apple 2014). Reinforcing the haptic experience of this new flat user interface has been described as building on the experience of "touching glass" to develop the "first post-Retina (Display) UI (user interface)" (Cava 2013). This is the notion of layered transparency, or better, layers of glass upon which the interface elements are painted through a logical internal structure of Z-axis layers. This laminate structure enables meaning to be conveyed through the organisation of the Z-axis, both in terms of content, but also to place it within a process or the user interface system itself. The fundamentals of light, surface, and movement are key to conveying how objects move, interact, and exist in space and in relation to each other. Realistic lighting shows seams, divides space, and indicates moving parts... Motion respects and reinforces the user as the prime mover... [and together] They create hierarchy, meaning, and focus (Google 2014). This notion of materiality is a weird materiality in as much as Google "steadfastly refuse to name the new fictional material, a decision that simultaneously gives them more flexibility and adds a level of metaphysical mysticism to the substance. That’s also important because while this material follows some physical rules, it doesn’t create the "trap" of skeuomorphism. The material isn’t a one-to-one imitation of physical paper, but instead it’s 'magical'" (Bohn 2014). 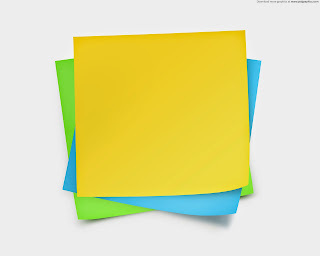 Google emphasises this connection, arguing that "in material design, every pixel drawn by an application resides on a sheet of paper. Paper has a flat background color and can be sized to serve a variety of purposes. A typical layout is composed of multiple sheets of paper" (Google Layout, 2014). The stress on material affordances, paper for Google and glass for Apple are crucial to understanding their respective stances in relation to flat design philosophy. 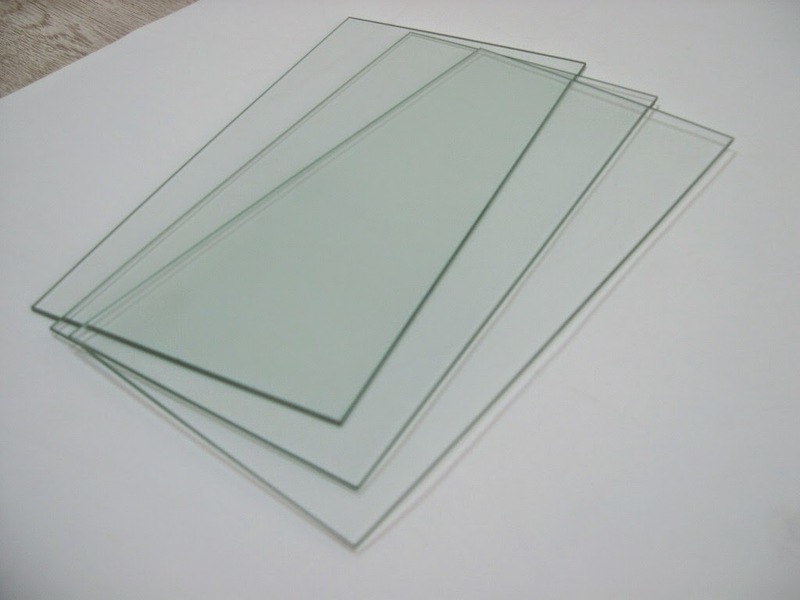 Glass (Apple): Translucency, transparency, opaqueness, limpidity and pellucidity. 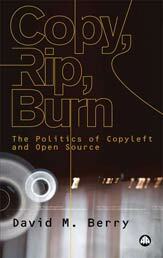 Paper (Google): Opaque, cards, slides, surfaces, tangibility, texture, lighted, casting shadows. In contrast to the layers of glass that inform the logics of transparency, opaqueness and translucency of Apple's flat design, Google uses the notion of remediated "paper" as a digital material, that is this "material environment is a 3D space, which means all objects have x, y, and z dimensions. The z-axis is perpendicularly aligned to the plane of the display, with the positive z-axis extending towards the viewer. Every sheet of material occupies a single position along the z-axis and has a standard 1dp thickness" (Google 2014). One might think then of Apple as painting on layers of glass, and Google as thin paper objects (material) placed upon background paper. However a key difference lies in the use of light and shadow in Google's notion which enables the light source, located in a similar position to the user of the interface, to cast shadows of the material objects onto the objects and sheets of paper that lie beneath them (see Jitkoff 2014). Nonetheless, a laminate structure is key to the representational grammar that constitutes both of these platforms. 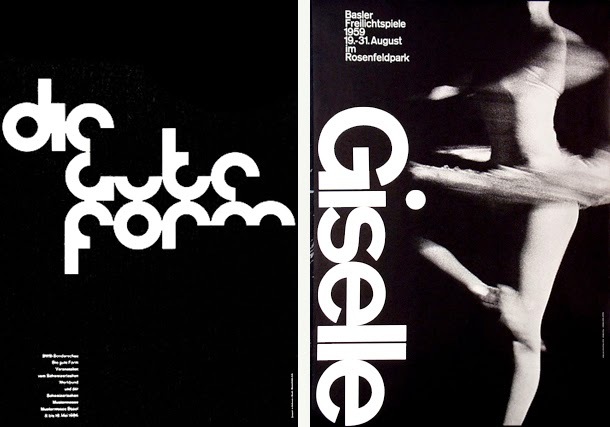 Armin Hofmann, head of the graphic design department at the Schule für Gestaltung Basel (Basel School of Design) and was instrumental in developing the graphic design style known as the Swiss Style. Designs from 1958 and 1959.
mainly focused on the use of grids, sans-serif typography, and clean hierarchy of content and layout. During the 40’s and 50’s, Swiss design often included a combination of a very large photograph with simple and minimal typography (Turner 2014). The design grammar of the Swiss style has been combined with minimalism and the principle of "responsive design", that is that the materiality and specificity of the device should be responsive to the interface and context being displayed. Minimalism is a "term used in the 20th century, in particular from the 1960s, to describe a style characterized by an impersonal austerity, plain geometric configurations and industrially processed materials" (MoMA 2014). 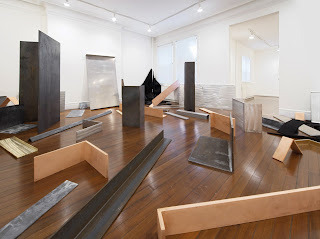 Robert Morris, one of the principle artists of Minimalism, and author of the influential Notes on Sculpture used "simple, regular and irregular polyhedrons. Influenced by theories in psychology and phenomenology" which he argued "established in the mind of the beholder ‘strong gestalt sensation’, whereby form and shape could be grasped intuitively" (MoMA 2014). 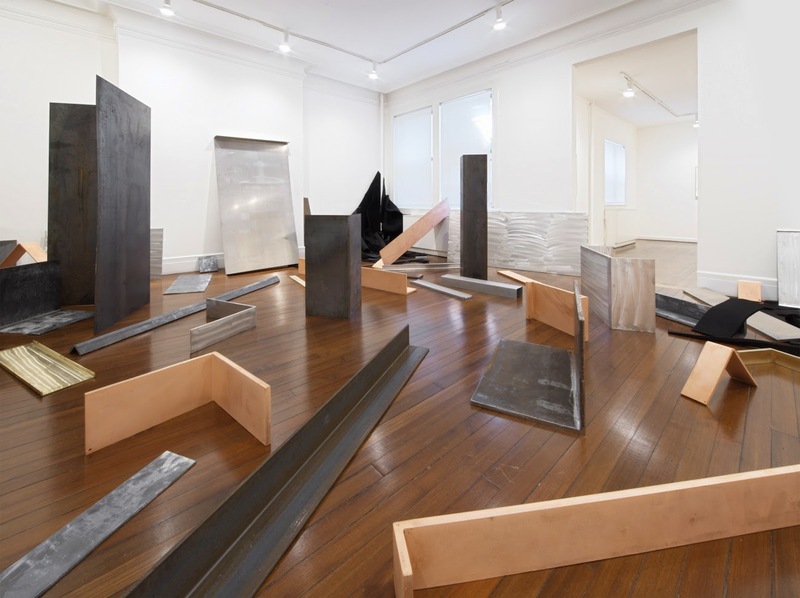 Robert Morris: Untitled (Scatter Piece), 1968-69, felt, steel, lead, zinc, copper, aluminum, brass, dimensions variable; at Leo Castelli Gallery, New York. Photo Genevieve Hanson. All works this article © 2010 Robert Morris/Artists Rights Society (ARS), New York. The implications of these two competing world-views are far-reaching in that much of the worlds initial contact, or touch points, for data services, real-time streams and computational power is increasingly through the platforms controlled by these two companies. However, they are also deeply influential across the programming industries, and we see alternatives and multiple reconfigurations in relation to the challenge raised by the "flattened" design paradigms. That is, they both represent, if only in potentia, a situation of a power relation and through this an ideological veneer on computation more generally. 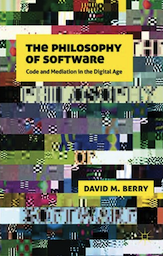 Further, with the proliferation of computational devices – and the screenic imaginary associated with them in the contemporary computational condition – there appears a new logic which lies behind, justifies and legitimates these design methodologies. It seems to me that these new flat design philosophies, in the broad sense, produce an order in precepts and concepts in order to give meaning and purpose not only in the interactions with computational platforms, but also more widely in terms of everyday life. Flat design and material design are competing philosophies that offer alternative patterns of both creation and interpretation, which are meant to have not only interface design implications, but more broadly in the ordering of concepts and ideas, the practices and the experience of computational technologies broadly conceived. Another way to put this could be to think about these moves as being a computational founding, the generation of, or argument for, an axial framework for building, reconfiguration and preservation. Indeed, flat design provides and more importantly serves, as a translational or metaphorical heuristic for both re-presenting the computational, but also teaches consumers and users how to use and manipulate new complex computational systems and stacks. In other words, in a striking visual technique flat design communicates the vertical structure of the computational stack, on which the Stack corporations are themselves constituted. But also begins to move beyond the specificity of the device as privileged site of a computational interface interaction from beginning to end. For example, interface techniques are abstracted away from the specificity of the device, for example through Apple’s “handoff” continuity framework which also potentially changes reading and writing practices in interesting ways. These new interface paradigms, introduced by the flat turn, have very interesting possibilities for the application of interface criticism, through unpacking and exploring the major trends and practices of the Stacks, that is, the major technology companies. I think that further than this, the notion of layers are instrumental in mediating the experience of an increasingly algorithmic society (e.g. think dashboards, personal information systems, quantified self, etc. ), and as such provide an interpretative frame for a world of computational patterns but also a constituting grammar for building these systems in the first place. 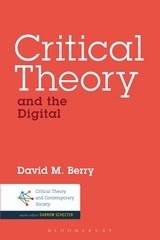 There is an element in which the notion of the postdigital may also be a useful way into thinking about the question of the link between art, computation and design given here (see Berry and Dieter, forthcoming) but also the importance of notions of materiality for the conceptualisation deployed by designers working within both the flat design and material design paradigms – whether of paper, glass, or some other "material" substance. Many thanks to Michael Dieter and Søren Pold for the discussion which inspired this post. The choice of paper and glass as the founding metaphors for the flat design philosophies of Google and Apple raise interesting questions for the way in which these companies articulate the remediation of other media forms, such as books, magazines, newspapers, music, television and film, etc. Indeed, the very idea of "publication" and the material carrier for the notion of publication is informed by the materiality, even if only a notional affordance given by this conceptualisation. It would be interesting to see how the book is remediated through each of the design philosophies that inform both companies, for example. One is struck by the posters produced in the Swiss style which date to the 1950s and 60s but which today remind one of the mobile device screens of the 21st Century. There is also some interesting links to be explored between the Superflat style and postmodern art movement, founded by the artist Takashi Murakami, which is influenced by manga and anime, both in terms of the aesthetic but also in relation to the cultural moment in which "flatness" is linked to "shallow emptiness". There is some interesting work to be done in thinking about the non-visual aspects of flat theory, such as the increasing use of APIs, such as the RESTful api, but also sound interfaces that use "flat" sound to indicate spatiality in terms of interface or interaction design. Berry, D. M. and Dieter, M. (forthcoming) Postdigital Aesthetics: Art, Computation and Design, Basingstoke: Palgrave Macmillan. Deleuze, G. (1992) Postscript on the Societies of Control, October, vol. 59: 3-7.